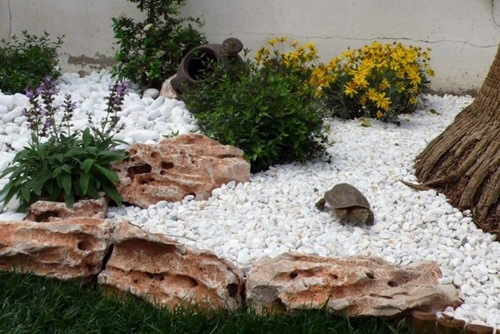 Placing stones in a garden area. 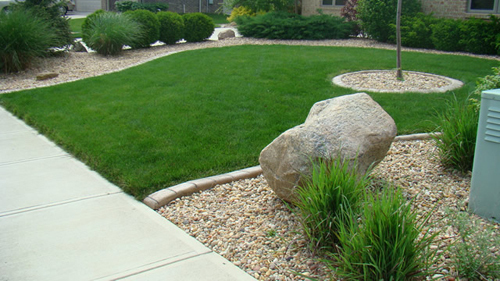 Placing large stones around your yard or garden area may seem rather easy and simple to do. You harken back to the days of childhood where you built play things out of stones and river rocks. We think if you follow a few simple steps you will get the most bang for your buck and a final display that is stunning and functional. 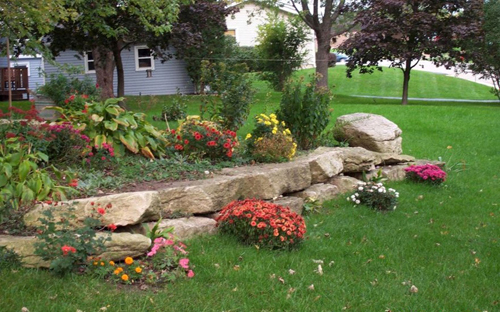 Below are a few tips that you should take into consideration when trying to design with rocks or just place a few around your yard. These ideas are only a framework and meant to give you a sense of how to set rocks. Of course your personal preference will play a roll when deciding placement. 1. Make sure you consider nature before placing rocks. Study landscapes and land forms such as ledge outcroppings, stream beds, waterfalls, and stony islets. 2. Make sure that your stones are set firmly into the ground. This means that you want to set them either up to their knees or about one quarter of the way up from their bottom and go to their waist. If you allow the underside of a rock to be exposed, it will look as though it was simply plopped down. 3. Establish a relationship between stones. With two stones, make the larger rock the major or dominant stone and the smaller rock the minor or subordinate stone. It helps to create an image for the relationship between stones. When placing 3 stones together, create a triangular relationship between them, such as a tall standing stone, a med size flat topped stone, and a low lying stone. No matter how many stones you set, it helps to have an image firmly in mind before you begin. 4. Use stone of different sizes. Think of how rocks look at the edge of a stream. Smaller stone tumble to the side of larger rocks, varying the depth and height. 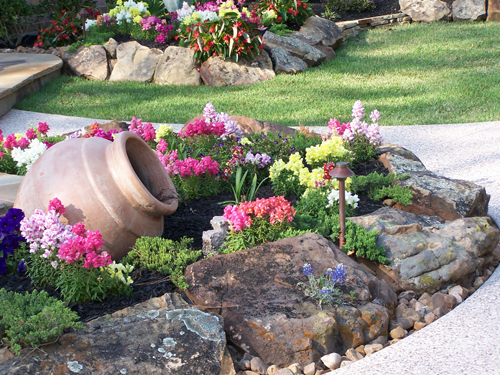 Read more.....How to create a natural serenity to your back yard. Read more.....Branching out with bonsai.